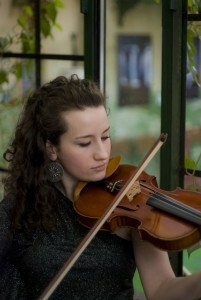 Hungarian-American violinist Hajnal Kármán Pivnick was born and raised in Memphis, Tennessee. Through her New York City concert series Tenth Intervention, she advocates the performance and promotion of music written in the 20th and 21st centuries, and works extensively as a music educator. She holds degrees from Carnegie Mellon University and the Liszt Academy of Music in Budapest, Hungary.